Durable and reusable firewood bags are the fastest growing solution for delivering firewood on the market. Are you tired of stacking firewood? Don’t you wish there could be an easier way of storing firewood than piling it on your yard only to find debris and maybe even mold on the bottom layers? What do you do with your firewood after you’re done processing it? There are a number of ways of storing and delivering firewood – some superior to others. Storing firewood in large piles in your yard is quick and easy, but makes the drying process highly inefficient. The bottom layers often end up having a lot of debris that easily ends up on your customer's truck or yard after delivery. Sound familiar? 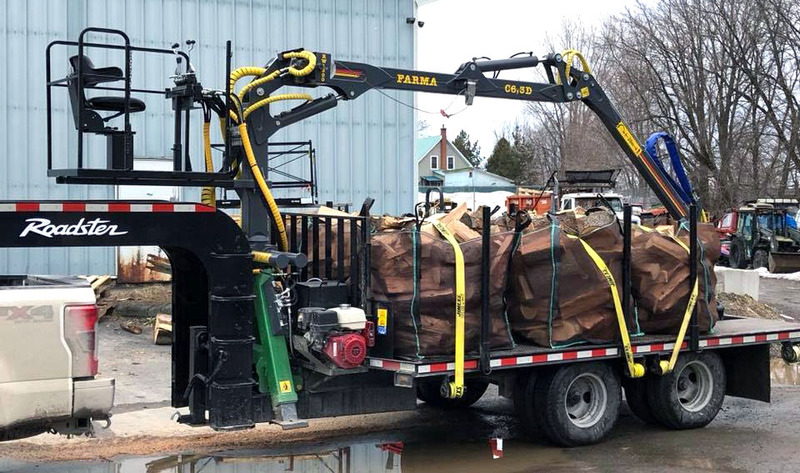 Drying and storing your firewood in crates is more efficient and clean, but still requires extra handling as you have to empty the crates on a truck bed for delivery. 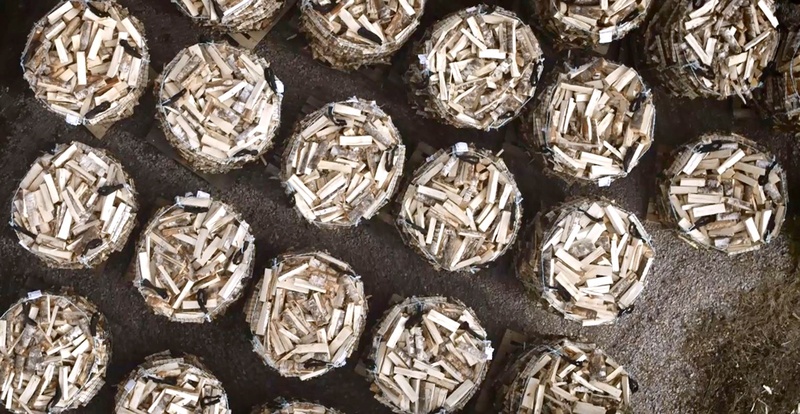 There is a solution that minimizes both the firewood drying time and the handling required. Cost-efficient firewood bags are the fastest growing new solution on the market. 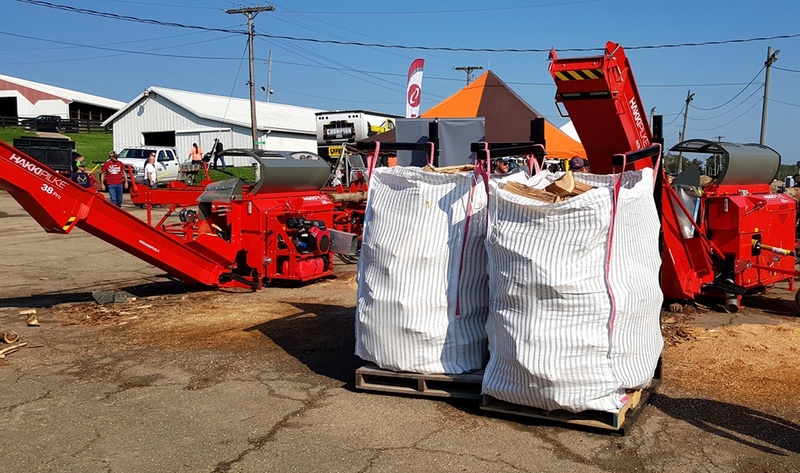 Hakki Pilke processors make filling firewood bags a breeze. Set up a line of bags and fill up to three bags at once with the help of our patented pivoting outfeed conveyor that prevents most of the debris from getting into the bags. “I hang the firewood bags right off my skid steer forks under the Hakki conveyor and load them that way. We then stack the bags on the pavement at my farm to dry during the summer,” says an owner of a firewood company in Vermont, USA. "Many customers don't want to buy a whole bunch at a time. I can load a ¼ of a cord bag of firewood into a customer’s pick up at my store and they can take it home and deal with it as they would like. They can also take it to a remote cabin or camp without using a truckload."